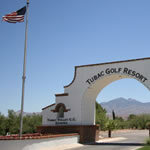 Tubac Golf Resort and Spa is the perfect resort for seclusion and relaxation. Located 45 minutes away from the main city of Tucson, Tubac Golf Resort & Spa is a full service resort spread over 500 acres at majestic Otero Ranch where hiking, golf, spa treatments and fine dining await. 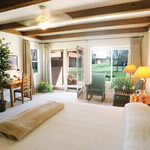 Accommodations feature 98 luxury guest rooms and suites decorated in southwestern design and charm complete with upscale amenities and recognized as Arizona’s 100 best kept rooms. 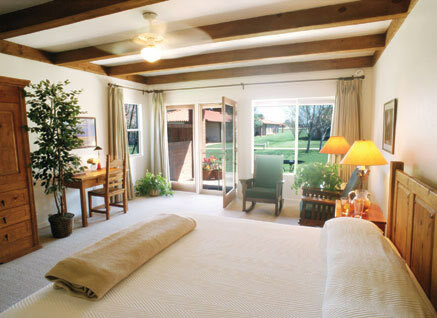 Rooms and also enhanced with brick archways, red-tile roofs and wood-beamed ceilings. On-site enjoy a professional tennis court, 3 restaurants; full equipped fitness center and 27-hole championship golf course. 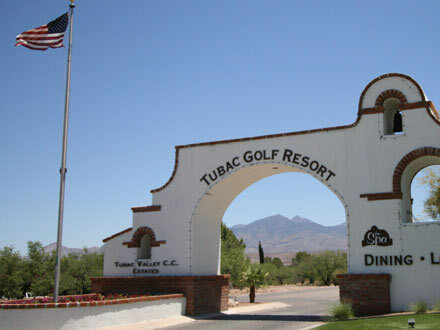 The Tubac Golf Club was also famously used in the movie Tin Cup.